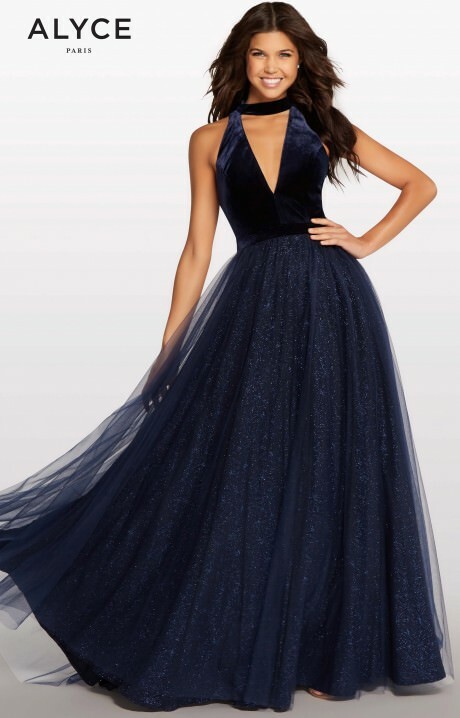 This dress by Alyce Paris 105 is a elegant combination of velvet and sparkly tulle that is sure to make u shine. The halter neck line forms a V-neck cutout. The back of the dress is open. This is the dress for you!